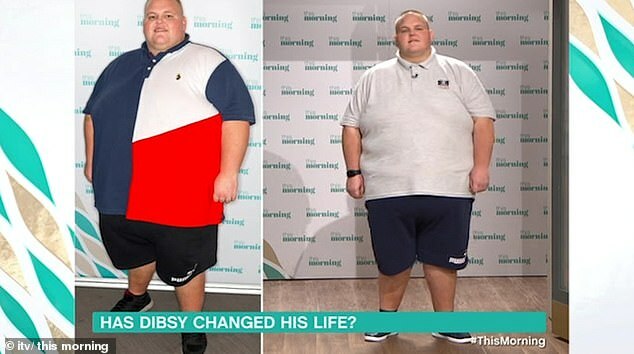 A morbidly obese man who was banned from his favourite takeaways after tipping the scales at 40 stone has managed to cut 1 million calories from his diet. 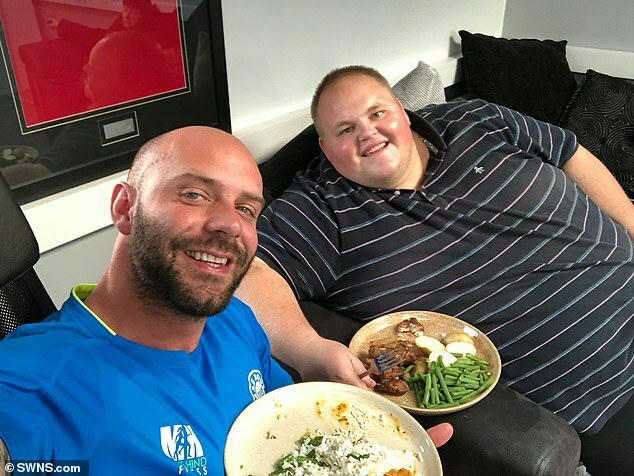 Darren ‘Dibsy’ McClintock, 27, of Middlesbrough, sought help from personal trainer Mike Hind after doctors told him he was ‘eating himself to death’. He now trains twice a day and has cut his mammoth 11,500-a-day diet to just 3,500 – a total of one million less over 13 weeks. 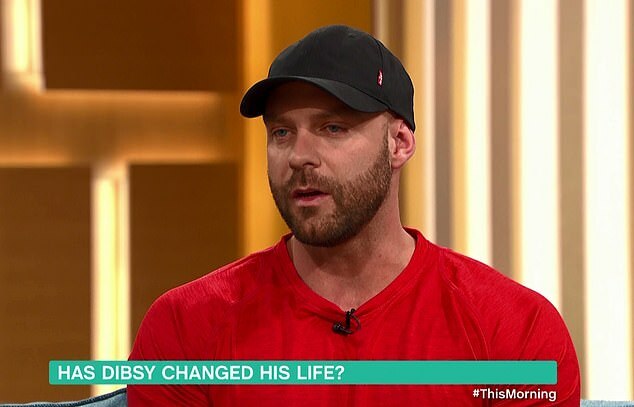 Appearing on This Morning, the pair revealed Dibsy has lost 8st 3lb in three months and is determined to halve his original weight to get down to 20st in a year. Mike’s first tactic was to issue all of Dibsy’s local takeaways with a poster saying ‘Save Dibsy. 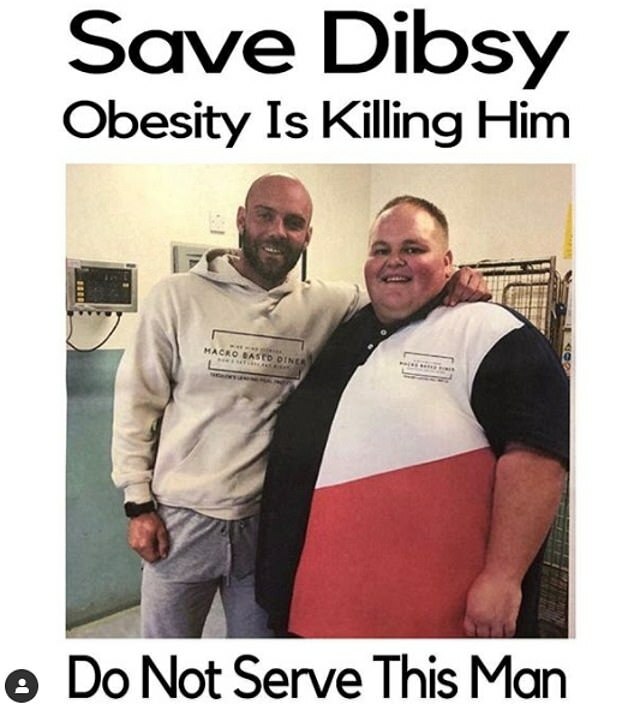 Obesity is killing him. Do not serve this man’. 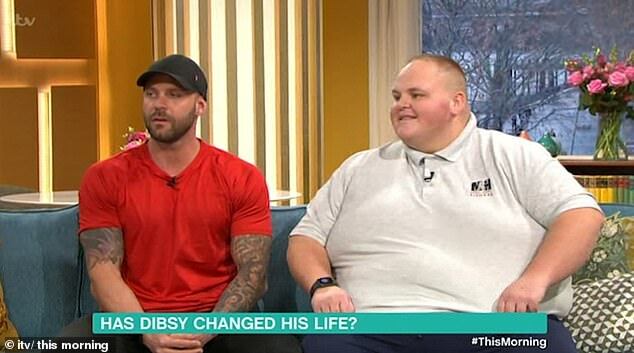 Asked how his weight loss journey has been, he told the programme: ‘It has been difficult, but I am enjoying it. He admitted that one evening he wanted to break the diet and get a takeaway. But after sharing his thoughts on social media, Mike spotted his post and left a family event to take him on a walk and talk him round. 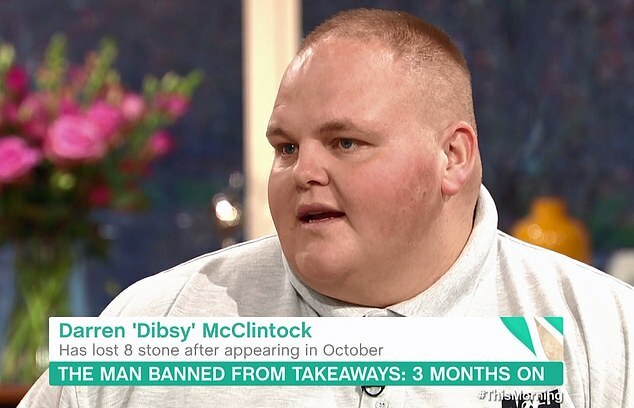 Dibsy added: ‘I was sat there and I don’t know what it was, I put on my social media, that I was going to eat chocolate and takeaways. Asked whether he thinks he will reach his 20st target, he said: ‘I am positive that I can achieve it. 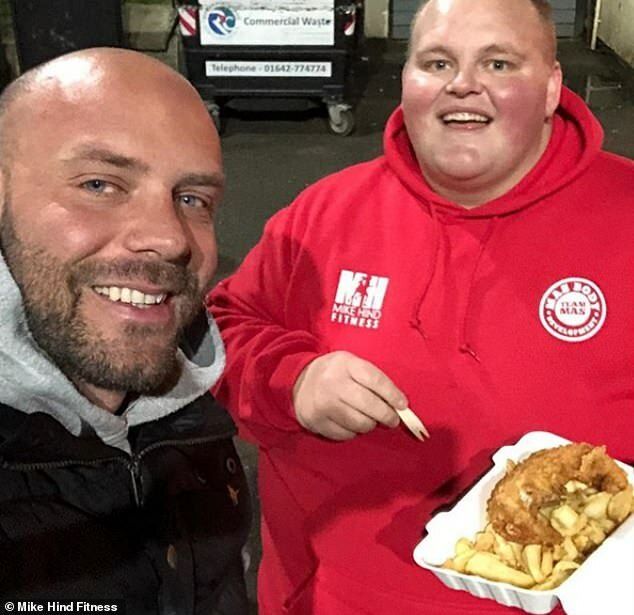 Disby was given the chance to have a small ‘cheat meal’ by Mike – a small portion of fish and chips. But after converting to a healthy lifestyle he said he ‘didn’t enjoy it’ and didn’t manage to finish the meal. The football fan managed to climb up a hill near his home and attend his first Middlesbrough match in seven years. Dibsy’s heroic effort was recognised by Boro players Martin Braithwaite, who gave him a shirt, and former captain Ben Gibson, who sent him a good luck text. Fans in the crowd even spotted him and people in the street stopped him for selfies and a chat. Travelers season 4 cast: Who will be in the cast of Travelers season 4 on Netflix?